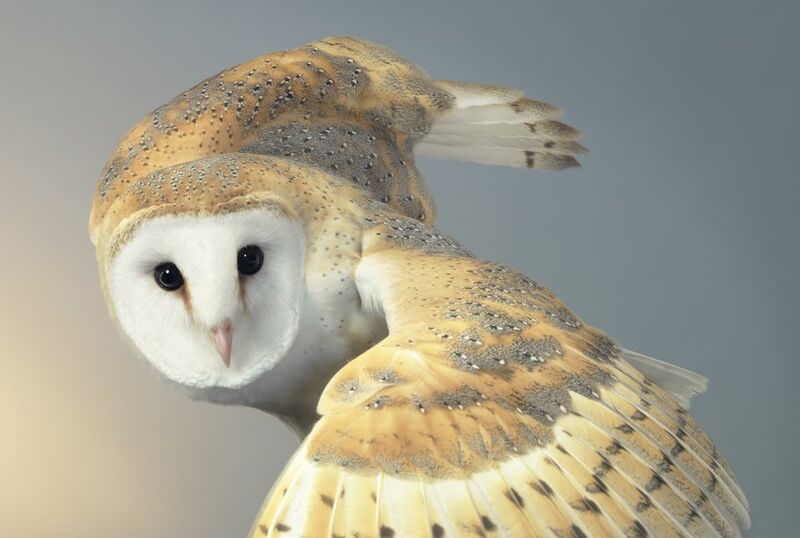 The Harry Potter films didn’t do the world of aviculture (the practice keeping and breeding birds as domestic pets) any favors when Hedwig the snowy owl appeared as Harry Potter’s pet, beginning in franchise's first film in 2001. People went crazy for the little snowy owl, much the same way that interests in Dalmatian dogs boomed overnight after the release of the original Disney film "101 Dalmations" in 1961. Overnight, people took an interest in keeping pet owls such as Hedwig. But unlike dogs, which are bred for domestication, owls are wild creatures and keeping one in a typical home setting in nearly impossible. Owls are one of the most precisely adapted wild raptors on earth. Like a living stealth aircraft, owls fly almost silently, thanks to the fringed and serrated feathers on the leading edge of the wings that muffle the sound of air passing. They can attack prey making very little noise. But this is an animal evolved for hunting and killing prey, and nothing is going to change that instinct. Like many raptor hunters, this bird hunts and lives largely alone, and it does not have the flock instinct that makes some bird species, such as parrots, such excellent pets. Owls do not put up with cuddling and frequent contact with humans, because it is entirely against their evolved nature. These razor sharp talons are designed for piercing and cutting, not perching on your shoulder. If you aren't familiar with how to handle raptors, you can end up looking like the victim in a slasher movie. This is a bird that evolution has designed to hunt and kill small prey, not entertain human owners in a home environment. There are at least six unavoidable reasons why an owl is a very poor choice for a pet. If you keep an owl, you’ll be feeding it fresh meat on a daily basis. Owls are strictly meat eaters and feeding an animal raw meat is not a pleasant task. Although most wild carnivores kept in captivity are fed stored frozen meats that are thawed out, doing this every day and dealing with the blood and leftovers is not for the faint of heart. And this is not a creature who will eat hamburger or steak—owls eat only whole animals, such as rodents, that must be purchased from commercial sources. Not many people really enjoy storing rats and guinea pigs next to the family's frozen foods in the freezer. And owls are notoriously messy eaters. The eating process is to tear prey to shreds in order to eat small bites, and this mess must be cleaned up after each feeding. Owls hunt small rodents in the wild using their hearing and sight. Many owls have ear holes spaces at different heights on their heads, allowing the brain to create a three-dimensional audio map of their surroundings. An owl in a domestic environment will simulate that hunting instinct and eat violently, even in your home. The instinct to sink sharp talons into any source of food—including a human hand delivering the meal—makes an owl dangerous to anyone who is not experienced and skilled. Owls need a lot of space. A parrot cage in the corner of the living room just not sufficient. A substantial aviary setting will be necessary, and it will need to be made of sturdy wire since the owl's sharp talons will turn a wood enclosure into toothpicks in short order. Remember this if you manage to slightly tame an owl and let it fly around your house—your furniture doesn't stand a chance. Ideally, owls kept in domestic settings are best off in outdoor aviaries. This largely defeats the purpose of keeping a pet bird at all, since it is hard to bond with a bird that never comes indoors and is kept in a large outdoor aviary, where the best you can hope for is to visit it once or twice a day. Despite this, owls become habituated to human presence and will become stressed if they are ignored. When you do interact with your owl, though, it will be mostly for the chores of feeding it or clean up after it. This is no warm and fuzzy pet, but one that demands a lot without offering much in return. Owls are wildlife species, and you will need to be trained before you get a license to keep a native species in captivity. Only after being trained and licensed can you legally keep an owl. And even this licensing by the US Fish and Wildlife Service (USFWS) does not allow you to turn an owl into a domestic pet—only to serve as a rehab specialist. According to regulations, once an owl is healthy and fit, it must be released back to the wild. An owl with a permanent disability is not a suitable "pet," either. If an owl has an injury that prevents its release, you must also have an education permit, which is going to keep you extremely busy. This educational permit compels you to do educational programs for the public—a certain number each year. The education requirements vary from state to state, but you must meet these minimum requirements in order to maintain the permit. Finally, there are only a limited number of injuries that allow a raptor to qualify as an educational bird. In other words, the licensing and educational permit restrictions are very strict, making it very difficult to legally keep a raptor in a home environment. A "pet" owl is usually one being kept illegally. Except in special circumstances, keeping wild owls is against the law in the US, but this is not the case in other nations. In the UK, for example, keeping wild owls is allowed. However, the Harry Potter-inspired upsurge in owl ownership was quickly followed by birds being given up. Families were simply not up to the demands of keeping an owl in captivity. Owls are nocturnal, which means they are active and hunt during the darkness of night. Unlike other birds, owls make their noise at night, especially during mating season. Domestic parrots, while they can be very noisy at certain times of day, tend to be silent in the dark hours of the night, and thus do not disturb neighbors. But owls socialize and mate noisily, and are instinctively at their noisiest during the dark hours when neighbors can be most bothered. A great horned owl in an outdoor aviary that hoots all night, every night, through the entire month of October will not make you popular with your neighbors. All pets demand attention from their owners, but normally, it's not too hard to find a boarding facility or pet-sitter when you need to travel or want to vacation without your pet. But an owl is not a pet that lends itself to just any pet-sitter. It's not easy to find a caretaker willing to thaw out frozen rodents, feed them to a lethal owl, then clean up the bloody mess. Keeping an owl will greatly curtail your travel options. Be ready to stay at home if you insist on owning one. Well, you’re in for a treat. Owls poop. They poop a lot. They poop everywhere. And unlike parrots who are primarily vegetable eaters, owl poop contains the waste of digested meat, and it smells. And owls also regurgitate pellets containing the undigested bits of bones and feathers of the animal carcasses they have just eaten. All birds are messy creatures, but owls are among the messiest of all. Keeping an owl means you will frequently clean up excrement, regurgitated pellets, feathers, and all the other detritus left on the floor of your huge aviary. Keeping an owl makes owning a large parrot seem carefree by comparison. Owls make lousy pets because they are wild animals. They are a federally protected species under the migratory bird act, and they will inflict major injury if not handled correctly. Unless you are an educator associated with a similar institution, I doubt if a private person could even get a permit. I would leave it to the experts and ignore all the cutesy videos of owls supposedly as pets. Europe and elsewhere may be different but USFWS (United States Fish and Wildlife Service) is very strict. And finally, a few words from Joe Krathwohl, "The Bird Man of Las Vegas:"
Owls have never been, nor ever will be, considered pets except in the most disrespectful of captors. Lately, we see all sorts of demeaning videos on the Internet, of people from around the world who have found a way to obtain owls and then treat them as if they are toys. There is nothing less cute than seeing an owl suffering from learned helplessness at the hands of a person who demonstrates a complete lack of understanding of behavioral science and lacks respect for the natural behaviors of owls. Owls are fascinating raptors that deserve your admiration and interest. But if you like owls, it is best to sponsor one by making a cash donation at a rehab center near you. You can visit and see "your" bird when it’s convenient, and leave the care and the feeding to the experts who know what they are doing. How Can I Find a Good Bird Sitter? How Old Is Your Bird in Human Years? What Are Pinfeathers on My Bird And What Are They for? What's the Difference Between Parakeets and Budgies?